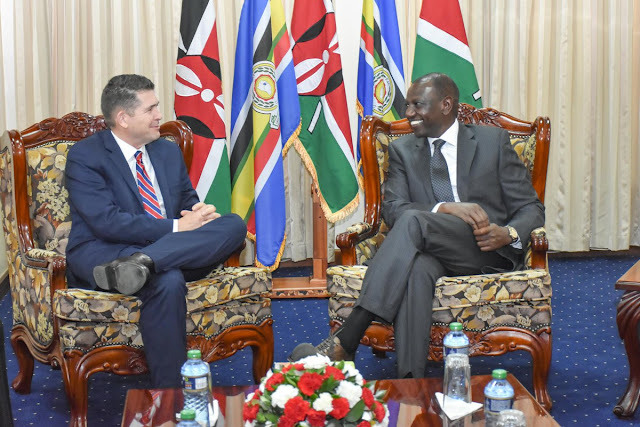 While confirming that the ties between America and Kenya are strong, DP Ruto said that they will continue to explore more opportunities in the partnership. This is for the benefit of citizens of both nations. US Ambassador to Kenya Kyle McCarter says that Washington DC plans to cooperate with Kenya in health and even renewable energy amongst others. The Deputy President has faced a lot of backlash with several saying that he is heavily involved in corruption in Kenya. He has defended himself saying that corruption fighting agencies are being misused to target him.